Going to the fabric store can be a bit overwhelming. Even if you aren’t tempted to buy fabric you probably don’t need, you can still get seduced by all the cool gadgets promising to make your sewing and embroidering easier. But what’s worth buying and what warrants a pass? Here’s what I think are the 10 essentials. 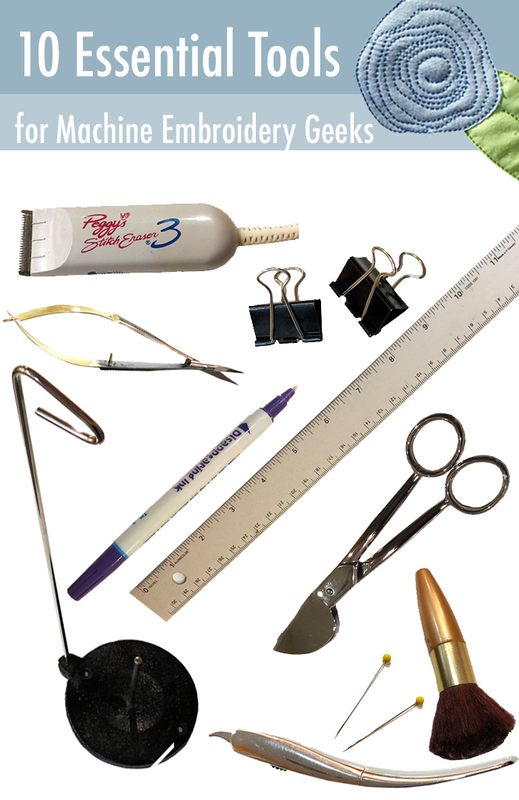 My 10 essential tools that every machine embroidery enthusiast needs (in no particular order). 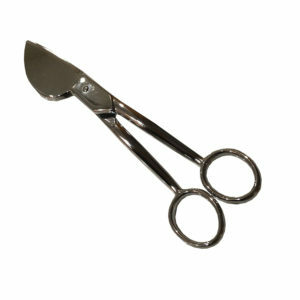 These funny looking scissors are absolutely necessary if you want to stitch out appliqué designs on an embroidery machine. Appliqué scissors allow you to trim your fabric very close to the stitch line after the appliqué fabric shape has been tacked down by your embroidery machine WITHOUT cutting your base fabric. Getting a close trim is essential because the final satin stitching needs to cover the raw edge. If you don’t get a close trim, you see exposed raw edges of the fabric and it looks super sloppy. What kind of appliqué scissors should you buy? To be honest with you – I don’t think it matters. I have two pairs – one from Walmart and the other pair a more expensive Gingher brand appliqué scissors and I really don’t have a preference. The Gingher ones seem sharper which in some cases can be difficult to use because they can more easily cut your base fabric. 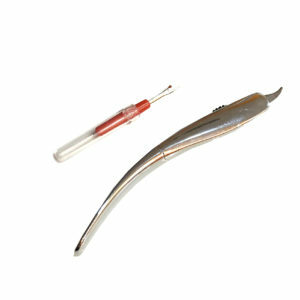 Nippers are tiny little springy scissors with a puny blade that allows you to trim connector strings very close to your fabric. No other scissors can do as good of job trimming these little annoying strings. Being able to trim connector strings close to the design make your piece much more polished. The stitch eraser is amazing for removing stitches when you make an embroidery mistake or you want to redo a monogram… but only in certain circumstances. Basically the stitch eraser shaves off stitches which makes them fall out. It’s not as perfect and easy as it sounds though. If your fabric is thin and delicate, the stitch eraser will destroy your fabric. But if you are trying to remove stitches from an embroidery design that is stitched on durable fabric, then you may have a decent shot of removing the stitches. And – in my opinion – the only way you have a fighting chance of removing stitches is with the stitch eraser. It’s well worth the small investment. I have a confession. I actually don’t even use a make up brush in real life. The one I bought for my sewing and embroidery machine was the first one I actually bought and I think I paid $1 for it. 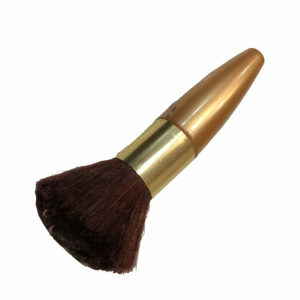 A makeup brush is a great tool to remove fuzz and strings from you bobbin cage and other hard-to-access parts of your sewing and embroidery machine. Keep your machines clean with a makeup brush and all your stitching will turn out SO. MUCH. BETTER. I learned about a thread stand the hard way. I had bought some large spools of embroidery thread and tried to put them on the thread holder directly on my embroidery machine. The problem in doing that is that they require significantly more tension to get them to unwind than standard sized embroidery thread. As a result the machine did not stitch correctly with these larger spools of embroidery thread. 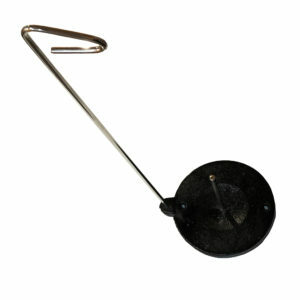 Enter the thread stand. When you put your spool of embroidery thread on the thread stand and place it near your machine it diminishes the amount of tension required to pull the thread off the spool, and it stitches much, much better. I now use the thread stand with any sized embroidery thread and I no longer have any tension issues. 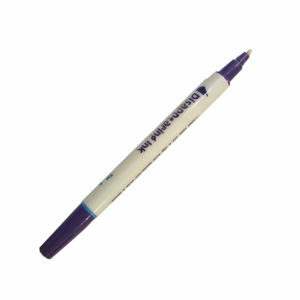 If you have done any type of sewing you have probably used a disappearing ink pen. But for machine embroidery it’s even more essential. I use mine to mark the center of my hoop on my hooped stabilizer. And I also use it to mark the position of my embroidery design on the garment. Actually I use my disappearing ink pen so much I need to get another. Hot tip: keep the caps on and your disappearing ink pen will last a lot longer. Okay – maybe you think this is an obvious one. But I find that I use a ruler for almost every project I do. I use a ruler to mark the center of my hooped stabilizer (with my disappearing ink pen). (Here you can see how I center a garment in the hoop using adhesive backed stabilizer). 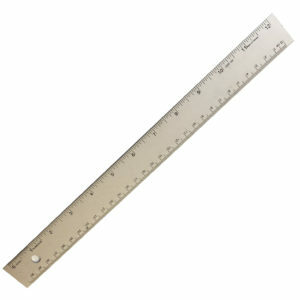 I also use a ruler just to visualize dimensions. For example, I hold the ruler up to my garment and note the measurement I think will look most appropriate. Then I size my design accordingly. Why I use any other pin besides quilting pins is beyond me. 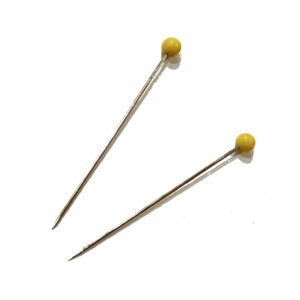 Quilting pins are slightly longer than regular pins and that extra bit of length makes all the difference in the world. I just think they feel more luxurious. In the context of machine embroidery, quilting pins are useful when pinning down a garment to hooped adhesive backed stabilizer. That extra bit of length makes it easier to get the pin through all the layers. Binder clips are awesome for holding back fabric when embroidering. I clip the excess fabric of what I’m embroidering to the hoop to prevent it from getting the excess material sucked back under the needle. 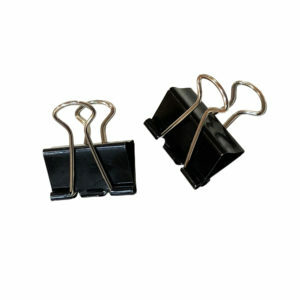 Just be careful when using binder clips that when the hoop moves around the binder clips won’t interfere. If you sew – you likely already own a seam ripper. But if you are doing machine appliqué – a seam ripper is essential. I use mine to remove the fabric in an enclosed shape. I have a couple of different types of seam rippers, but I think the simple classic $1.99 seam ripper (the red one in the picture) is really all you need and is most useful for machine appliqué. Well there you go. I hope this helps you newbies or you generous gift givers. Are you a more experienced machine embroidery enthusiast? Then please share your thoughts! The CUTEST bargain wholesale monogram blank dresses to personalize for Christmas… even if you don’t have a wholesale account. As you may recall – in years past – I have been yapping about the personalized dresses that I’ve made for all the little girls in my family. This has been a great gift for several years, but now that my girls have become tweens and teens who only sport ATH-leisure, I’m not making as many as I used to. 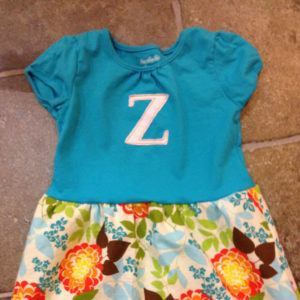 However, I still think it’s a great gift for a little girl and now that I’ve discovered a new source for some super-cute monogram blank dresses, I may be at it again. If your are interested in making some personalized little dresses for Christmas, there are a lot of ways to go about it. Here are some resources from past blog posts + some new cute dresses that you can easily personalize with your embroidery machine! 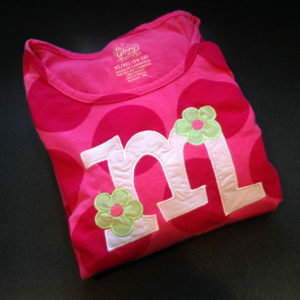 Seriously – you can make this from a $3 t-shirt from Walmart and a scrap of fabric! Check out my tutorial on how to make this cute little dress. I used my appliqué triple stitch letter design for the single letter. Walmart usually has a few different tunics available for about $7 that are suitable for embroidery. You can see what I’ve done with them in the past, then scope out your local Walmart to see this year’s styles. This weekend my sister-in-law let me in on a secret…. The darling dresses her little girls were wearing which LOOKED like Boden dresses were actually from Amazon and they were a fraction of the price… like $15. SAY WHATTTT???? But you know what would make them a bit cuter? if they were monogrammed or appliquéd! Check out these darling dresses on Amazon: horses, birds and dinos. 60 Embroidery Designs – Less than $1 each! The NEW VIP Club is a great gift. 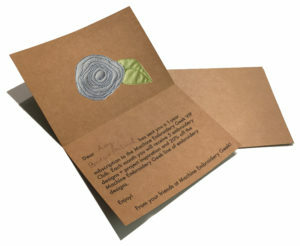 Gift a VIP Club subscription to a friend and we’ll mail them a card + 5 Designs each month! Only $50! First of all – if you received an email from the Machine Embroidery Geek site about your username and password being added to the site – I apologize. As you might have noticed – I updated my web site and needed to migrate all the user subscriptions over to the new site. The result of this migration was all of those confirmation emails being generated. So – again – apologies for the annoying email. However, the upside is that you can now login to download free designs on this site using the same email you registered with on the old site. The good news is that the new and improved Machine Embroidery Geek web site is live! Yippeee! It’s been quite a project migrating all the old content and implementing e-commerce capabilities – but voila! It’s done! I can now sell my designs through my own site and offer some innovative new subscriptions such as the new VIP Club. 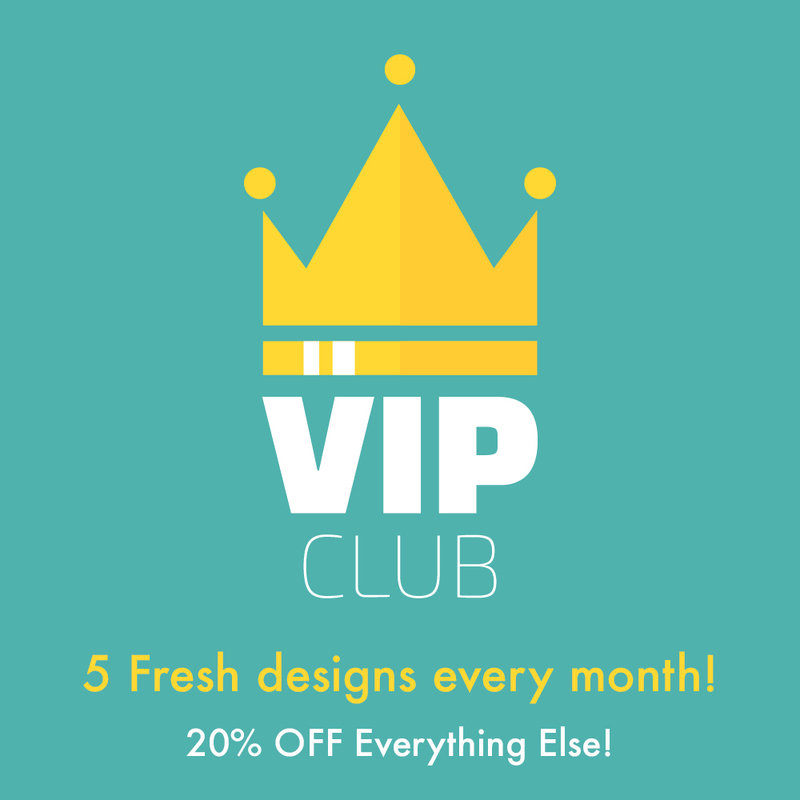 The VIP Club is a annual membership where subscribers receive 5 free designs/typefaces each month for just $50 (less than $1 per design)! And between now and January 1st – VIP Club subscribers receive 50% off any additional subscriptions they purchase. So if you love machine embroidery add it to your Christmas list! Or buy a friend a subscription and get yours at 1/2 off! Good luck with all your holiday embroidery projects. Santa’s workshop is in full swing at my house and I’ll be sharing these projects with you soon. Hello from the Netherlands! I’m here visiting our university’s campus in Leiden before attending a conference in Spain. I know, I know… My life is rough. And how does this all relate to machine embroidery? My colleague in Leiden has a 1-year-old son, Freddie, who I had never met so I wanted to take him a little gift. But since I had never met the little tyke and didn’t know what he was into, I decided to use the gift giving opportunity to help convince his parents to move to (my home town ) St. Louis! It IS actually a possibility that they may move… which would be great from my point of view. So I bought Freddie a simple t-shirt from Target – which currently has some really cute kid clothes – but not much that is plain enough for appliqué. But I think this blue t-shirt with subtle stripes is perfect for this design. It’s kind of retro and reminds me of the sky. AHHHH – lovely. Like the concept? It’s actually a hybrid of two designs I sell on my store: the arch design plus any of the states that contain an appliqué heart. Enjoy and happy embroidering! 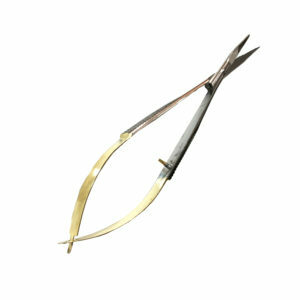 Keep in mind that in order to do any type of applique, you MUST have a pair of applique scissors. Honestly you really don’t need anything fancy. I use a pair similar to these.